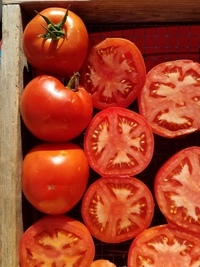 Red-to-heart breeding stock crossed into (big) ‘Crisp Mint’ and ‘Plato II’ romaines. 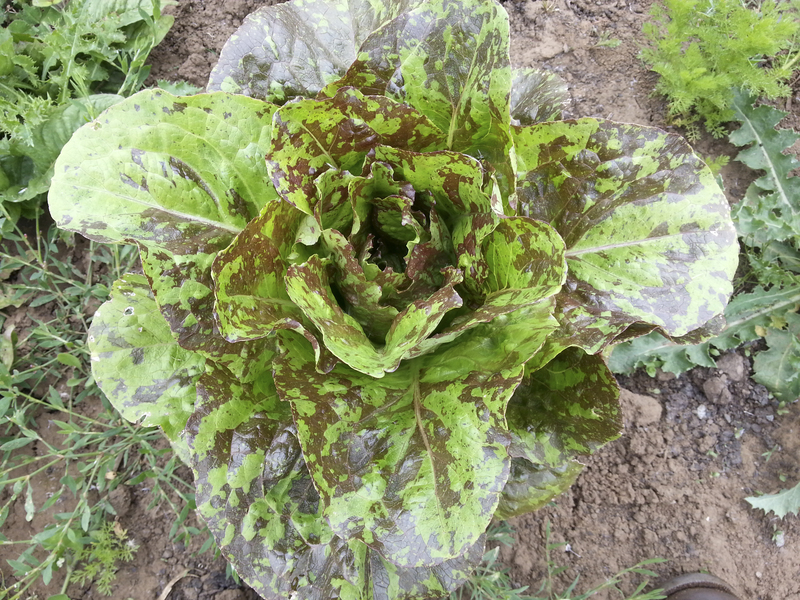 The combinations are striking and delicious, and make a beautiful erect romaine component to salad mix diversity. Aside from the unusual red patterns and rose hearts, there is a full spectrum of green backgrounds, and many patterns of leaf margination, smooth to ruffled. Red color develops early, even under UV-absorbing plastic, making this an excellent salad component for tunnel or greenhouse production. Farm Original Variety! OSSI (Open Source Seed Initiative) Pledged Variety.